It can be both exciting and scary to land an interview with your potential employer. Youâ��re happy you made it to the interview stage, but talk about pressure! 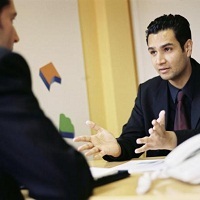 So, whatâ��s the key to that great interview? In a nutshell, be prepared. Below are some great interview tips to help prepare you, calm you down and hopefully get you that job! This is the fundamental starting point for any job seeker in getting ready for an interview, and in todayâ��s age itâ��s incredibly easy to do! Employers want to know what you know about the company, and more importantly, why you want to work there. A good employer wants to find the right person for their company, so your answer to the above questions can mean more than any of your job qualifications. Google the company, your employer(s), who their competitors are, check out their social media sites, etc. The more you know, the better off youâ��ll be. Donâ��t fool yourself â�� employers are going to check you out before the interview just like youâ��re going to check them out. Be yourself, but make sure those party pics are deleted or hidden and your Linkedin profile is up to date with no spelling or grammatical errors. Put your best social media face forward. These make you memorable and personable. Did you have a disagreement with a co-worker once? How did you handle that? What accomplishments have you done recently that relate to the requirements of the position? Havenâ��t heard from them? Donâ��t just let it go â�� give them a call and show youâ��re interested in the position. If you donâ��t get it, ask them to keep you in mind should a position open up in the future. Following up is step two of building a relationship with that employer, and it may just be what gets you a different job down the road.